Ninety-nine readers love this post. Bourbon is a very versatile spirit. Not to mention delicious! When I was asked to create a twist on a classic bourbon cocktail I was thrilled to be able to create something new with one of my favorite spirits. I decided to do a twist on an old fashioned. I bartend at Nur, which is a modern Middle Eastern restaurant here in New York City where I have access to a plethora of amazing herbs, spices and fruits to play with! The bourbon I chose to use is Four Roses; hints of toffee, vanilla and notes of tropical fruit and light rye. Fantastic for cocktails! I knew I need to create a syrup that would have a lot of flavor to it. I chose to use tamarind, cinnamon and cardamom. The flavors blend together beautifully and really enhance the bourbon. I added a few drops of orange bitters and I then garnished my cocktail with rose petals, dried apricot and a twist of grapefruit. With all these amazing tastes and flavors that you can find in a Moroccan Souk, I present to you my bourbon cocktail twist, The Road to Marrakech! 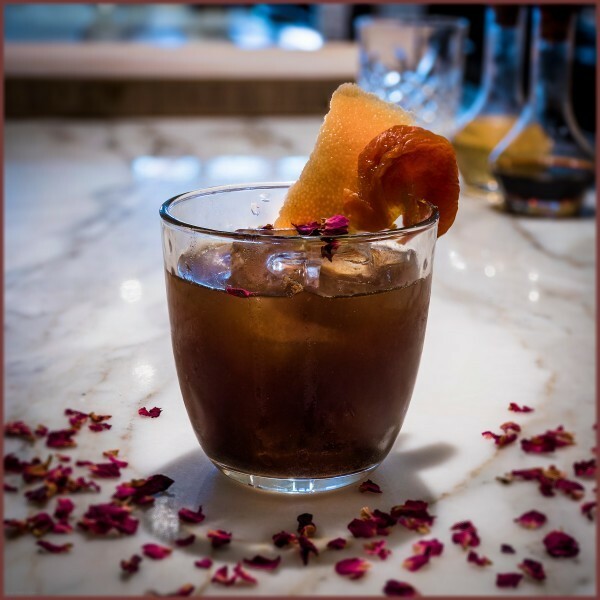 In a mixing glass with ice combine bourbon, spiced tamarind syrup and bitters. Stir and strain over ice in an old fashioned glass. Garnish with grapefruit, dried apricot and a sprinkling of dried rose petals. Combine all ingredients together .Stir and shake vigorously. Cold prep. Almost too pretty to drink...almost 2 Votes Up! Bacardi Lime CocoLoco 3 Votes Up! A Sunset Sangria is the PERFECT remedy for Tax Day 6 Votes Up! Electric Blue Mermaid 9 Votes Up!